Aluminium collection comprising ceiling lamps in three sizes and hanging lamps in two sizes. The hanging lamps are also available in a built-in version. 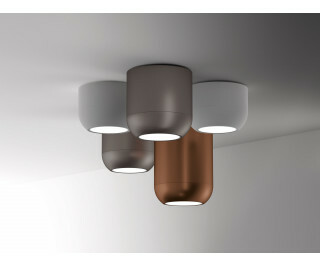 Three colours available: white, bronze and matt nickel. Built-in dimmable LED light.